Command Center: Easy to master and a joy to drive. 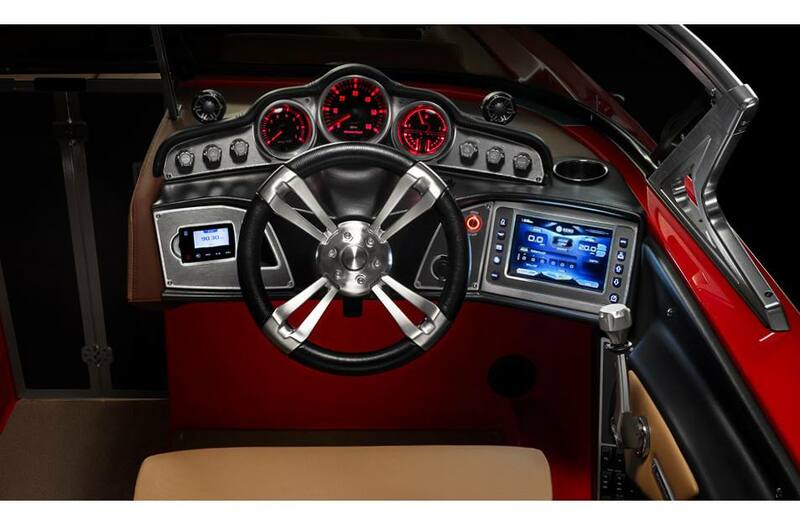 Backlit analog gauges, Zero-Off cruise control, nimble handling and optional 7 inch touchscreen interface are the hallmarks of a happy captain. 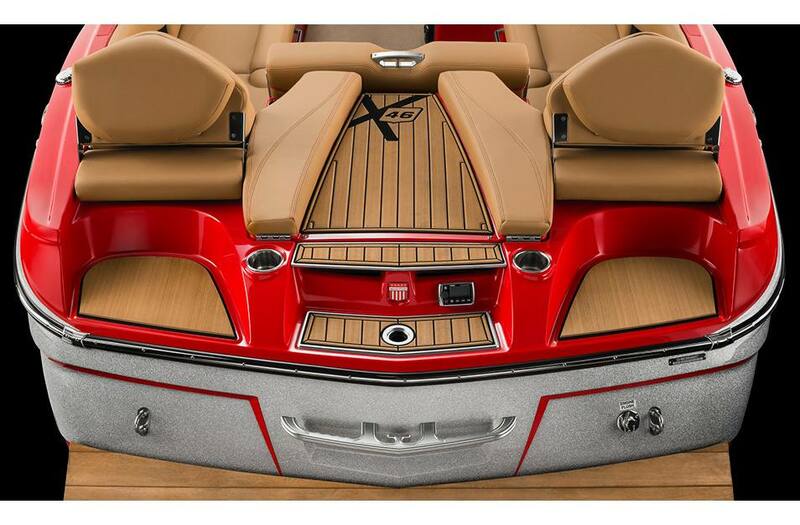 Aft Lounge: We designed the X46 to be the best surf boat ever built, and that includes watching the action up close from the in-transom aft lounge. 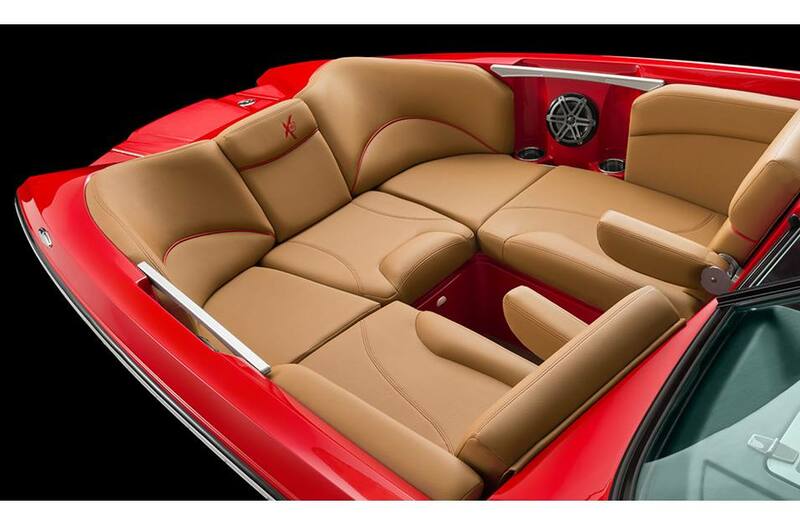 Convertible Rear Seating: Configure the best seat in the house to your liking; sit side by side and enjoy the ride. 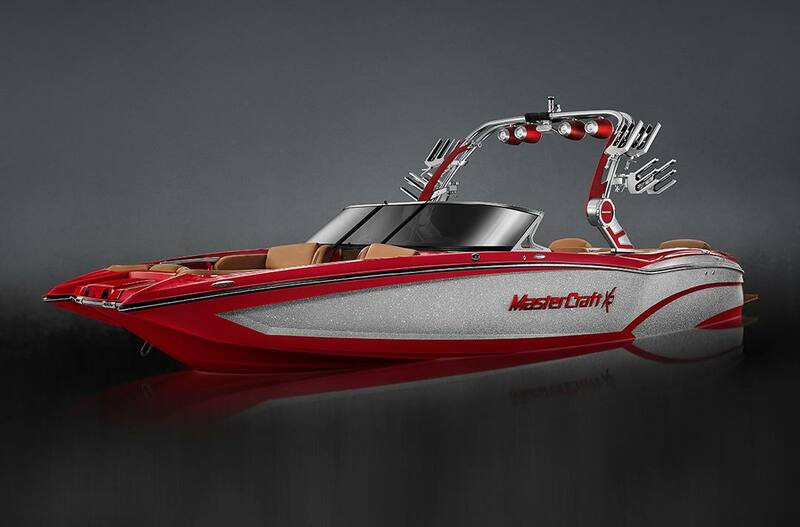 Have a conversation with the driver or flip the seat around to film the action off the back of the boat. Coffin Storage: Easy opening lids with flip hinges offer effortless access to the high capacity coffin storage. 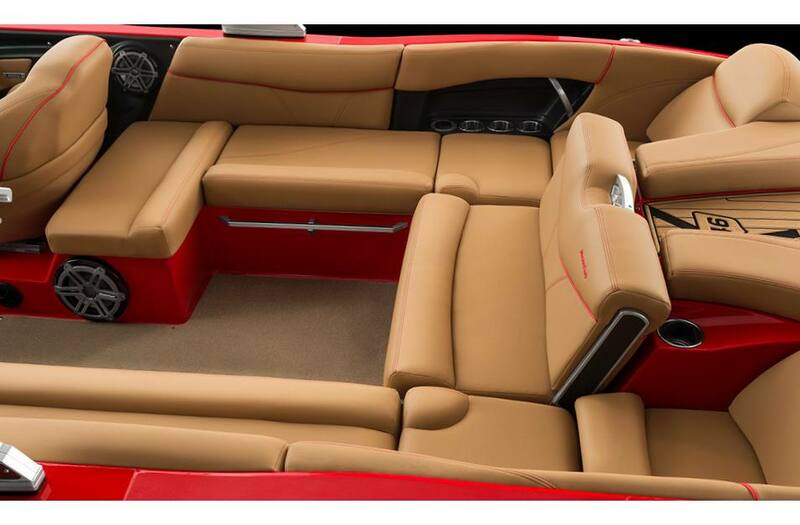 Unique Rear Storage: Industry-leading seating solutions are a hallmark of MasterCraft. 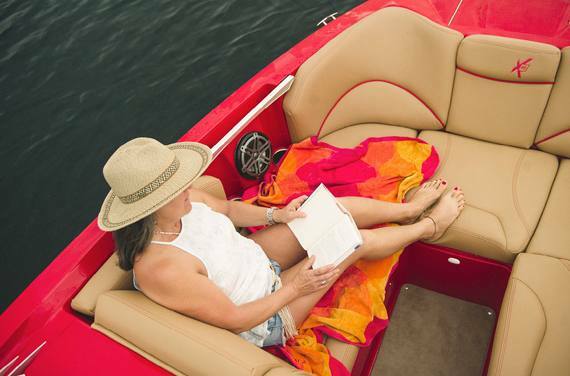 The amazing new gullwing transom seat storage gives passengers access to tubes, vests, rope and whatever else is required on your outing. 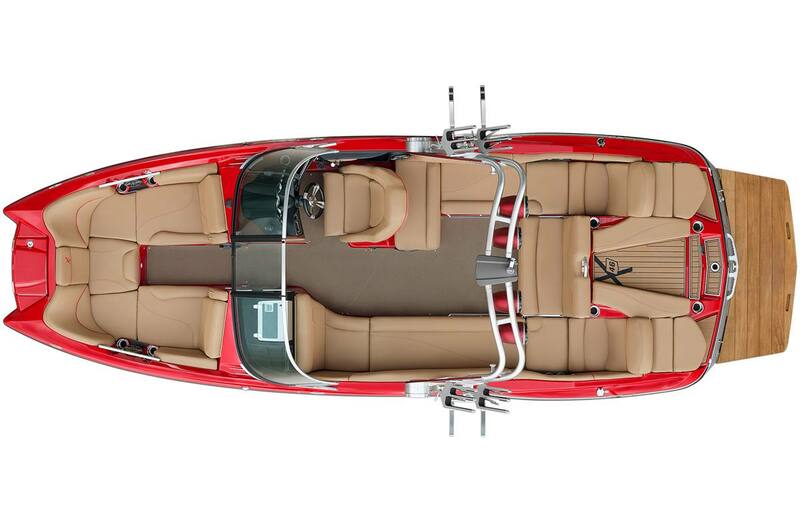 Opening Day: The X46 features an open bow with seating for four adults and easy access to everything that matters. 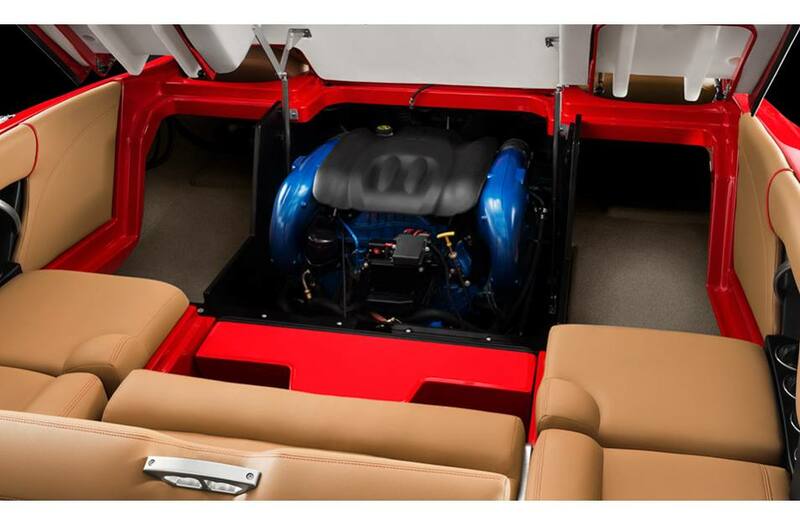 Uncaged: The X46 comes with a smooth, powerful and efficient V8 from Ilmor, the leader in high-performance marine engines. 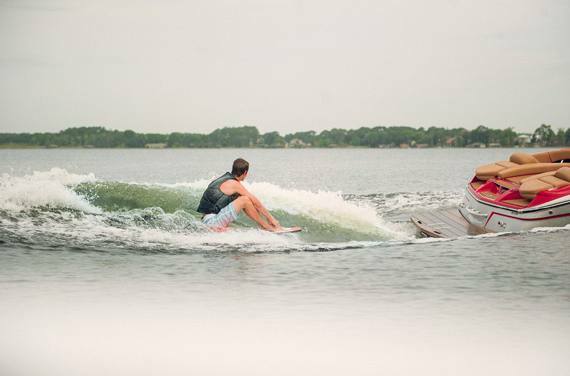 Transom Step: Get in and out of the action with ease. The non-slip pad features an integrated step/seat for gearing up to get down.